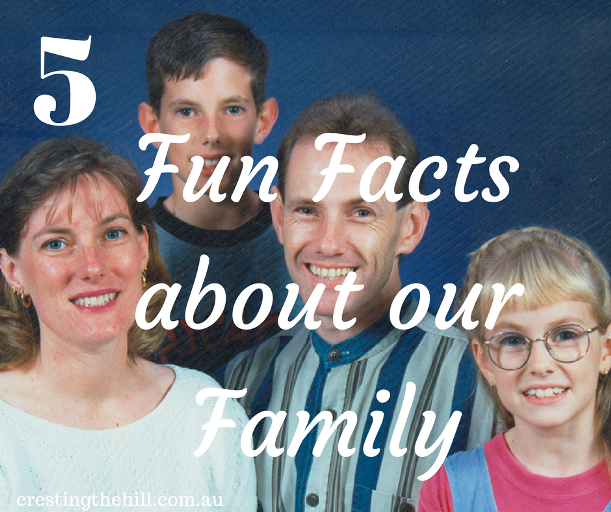 For my five things this Friday I thought I'd share five (hopefully) interesting things about my family. They're short and sweet so hopefully they'll be as much fun to read as they were to write about. My husband and I started dating in April 1982, we were engaged by August, and married in February 1983. Our son and his wife started dating in July 2010, were engaged in January 2011, and married in September 2011. Our daughter and her husband started dating in February 2012, were engaged in April, and married in December 2012. The saying "opposites attract" was written for my husband and me. He's an introvert, I'm an extrovert. He's adventurous and active, I play safe and think walking is exercise. He never makes plans, I have life mapped out in my head. He likes to try new and 'interesting' food, I love takeaway and roasts. He thinks cat videos and pigs rolling down a hill are funny, I don't get it. My husband owned a dog when we met, we had a dog in our lives all the way through until a couple of years ago, when our last dog passed away from old age. My in-laws live in a country town in SW Western Australia. When we were young parents, we moved down here to live, then my husband's brother and wife moved down here when they returned from the mission field. Finally his sister and her husband also moved down here to live. Due to a random set of circumstances, both my brothers ended up moving down to the same town when their marriages imploded. Then my parents bought a little place down here so they could visit regularly. So my kids may not live nearby, but the rest of the extended family seem to have settled here for the foreseeable future. 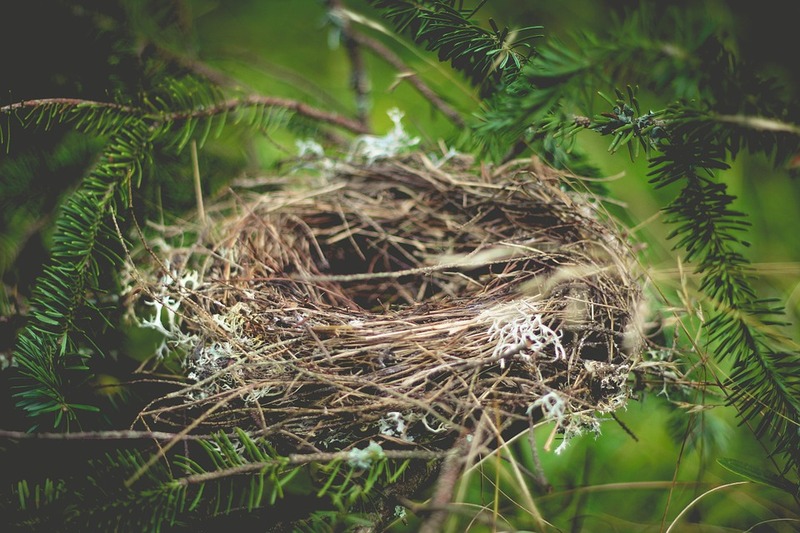 Although I regularly write about how much I miss our adult kids, we actually really love being empty nesters. It's rather liberating not being on hand for every minor crisis our kids encounter. We like being close enough to visit or to help out if there is a call for help, but we also love not being involved in all the family dramas that our friends seem to deal with when they are too involved in their adult children's lives. Absence certainly makes the heart grow fonder in our case. Love the wedding pics! I was in Year 12 when you got married :-) . I would have guessed from your pic that we are the same age, but now I figure you must be a wee bit older than me! Love this, Leanne! 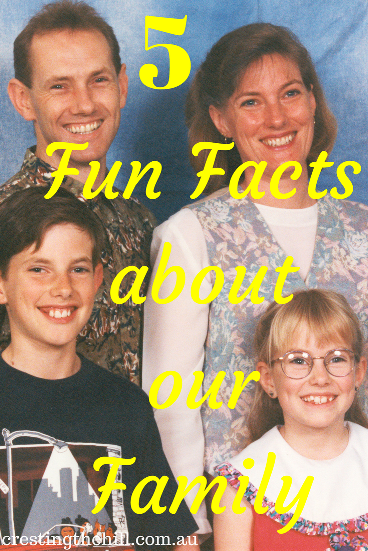 Love hearing these sweet facts about your family. Trying to think of what five facts I'd share . . .
Leanne, Love your "5 Things Fridays!" Although we live half a planet away, we have a lot in common -- getting married in the 80's, being polar opposites with your spouse, and extended family close. Sounds like we've both been blessed. Thanks for that reminder. We lived in Albany for the first year we were married Linda (and I lived just outside Kalgoorlie when I was doing my country service in my job). It's a small world isn't it? I love how close your family is - and I just wish it continued to our kids living nearby - how cool would that be? Our eldest, Boot, lives on our property - very handy on a farm as you can always call on his brawn. Our baby, Slipper, lives 19 hours away and is deeply involved with the love of her life, attaching to whom will ensure that she she never will again live any closer than that. Empty nest SOUNDS fine when you still have access to them but, for Mr Shoes & I at least, it's one of our deepest sorrows to know that she is so far away & whatever children she has will hardly even get to know us because of the distance, but also because they have 2 professional careers to maintain & we have the farm (even WITH Boot, he also has a career, & Mr Shoes is not yet retired from HIS career off the farm, so it's very hard to co-ordinate more than a day away at a time). Sometimes I think maybe we could give up the farm and move closer to Slipper, but then we talk & think about all that's gone into this place, the place we thought would be our lasting legacy for our children & hopefully their children some day, & the thought doesn't seem right either. 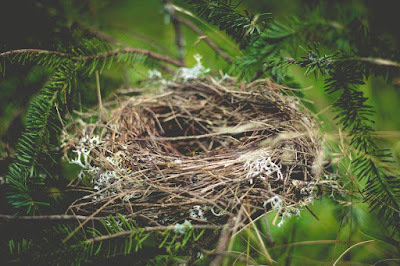 "Empty Nest".... even the phrase makes me sad. Oh I know exactly what you mean! I love our empty nest because it means we successfully launched our kids into the world and the peace is lovely. BUT I'd kill to have them living closer and I can't even begin to imagine what 19 hours away would be like! We thought about moving too, but I don't think that works out in the end because those kids might move again and the other dilemma is how to be close to both when they live a fair distance apart. I just hold out for the visits - they fill my tank. My tank could use filling a lot more often; it must be because I'm a "CLASSIC EDITION" (loud engine with a lot of moving parts that are getting to be 'Special Order Only'). I am more like you. Your husband is more like my husband. Thank you so much for linking at #overthemoon! I look forward to seeing what you share every week. Please come back for #WonderfulWednesday or #ThursdayFavoriteThings. Don't forget to comment your link #'s so I can be sure to visit and you get a chance to be featured! Pinned and shared. WHAT IS THE PERFECT FAMILY? HOW ARE YOU TRAVELLING THAT ROAD YOU'RE ON?